Natty Boh rolled out its second-annual Tabs for Crabs program in July, promising 10 cents for each red, crab-etched can tab collected and returned to the company from consumers across the Mid-Atlantic. It collected more than 90,000 crab tabs. WASHINGTON — Baltimore’s hometown beer, National Bohemian Beer Co., has donated $10,000 to the Chesapeake Bay Foundation after its summer long “Tabs for Crabs” promotion. Natty Boh rolled out its second-annual Tabs for Crabs program in July, promising 10 cents for each red, crab-etched can tab collected and returned to the company from consumers across the Mid-Atlantic. Oct. 1 was the deadline. This year it collected more than 90,000 crab tabs, 5,000 more than the program’s inaugural year, but just shy of the 100,000 goal. Natty Boh donated the full target amount of $10,000 anyway. The donation will support the Foundation’s mission to Save the Bay and its work to protect blue crab habitats by improving water quality in the Chesapeake Bay. 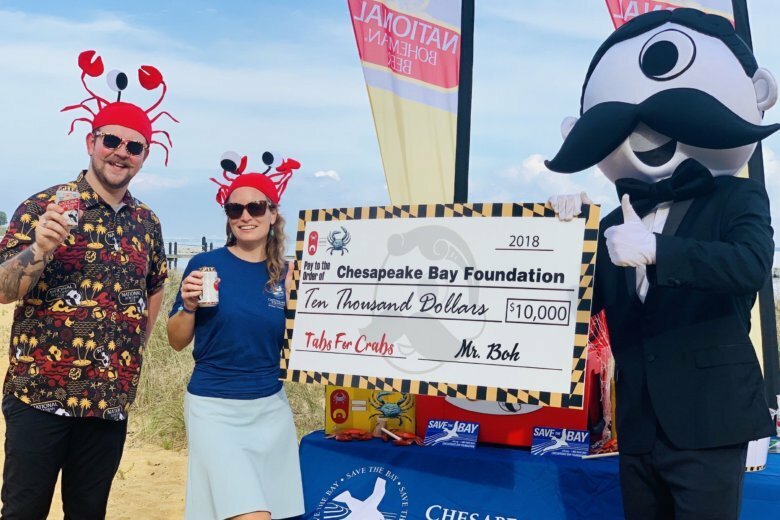 “We love that the community again embraced Tabs for Crabs and came together for a fun, easy way to do good and protect the beauty of our beloved regional landmark, the Chesapeake Bay,” said C-Mo Molloy, National Bohemian brand manager. In March, Natty Boh released Crab Shack Shandy, its first new beer in 30 years. The Chesapeake Bay Foundation, founded in 1967, is the largest independent conservation organization dedicated solely to saving the Chesapeake Bay. National Bohemian Beer Co. has been brewing beer in its hometown Baltimore since 1885.